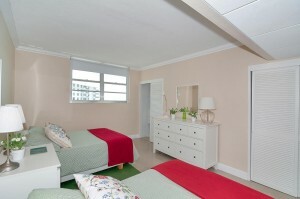 Large apartment decorated in a vintage style, with two bedrooms and two bathrooms on the fourteenth floor. 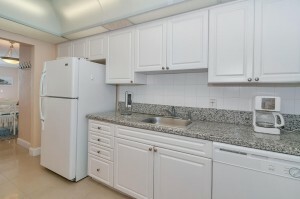 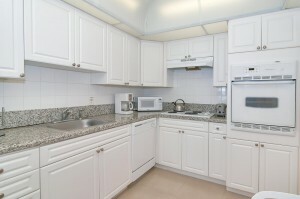 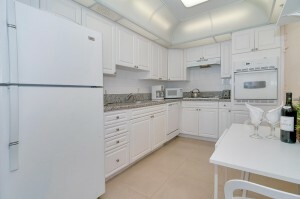 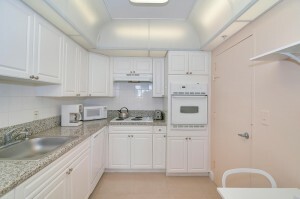 It offers a table and chairs inside the kitchen so you can enjoy a nice quick meal. 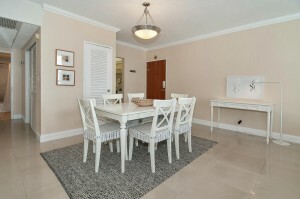 The dining rooom integrated to the living room suits a table and white chairs with cushions for six. 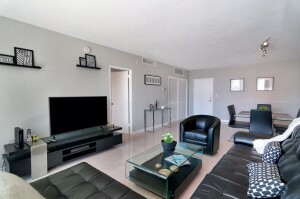 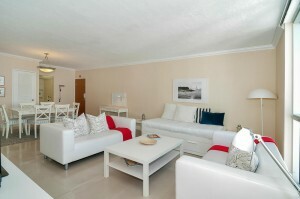 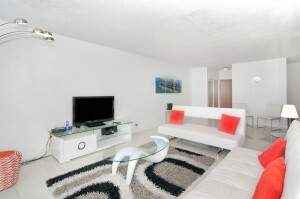 The living room suits two white couches in front of the coffee table by the main tv of the aparment. 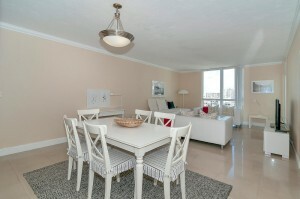 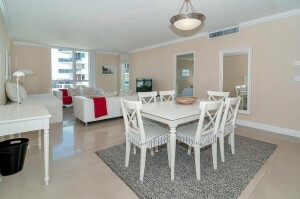 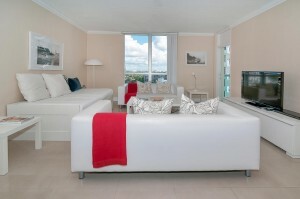 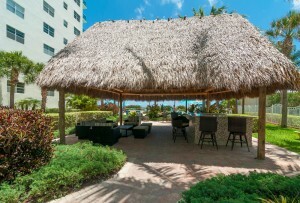 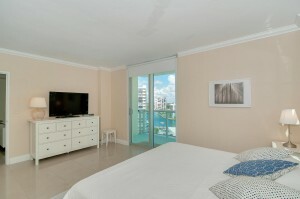 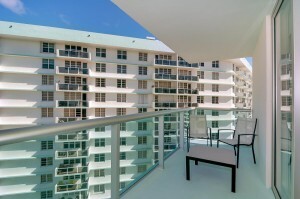 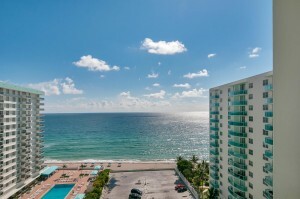 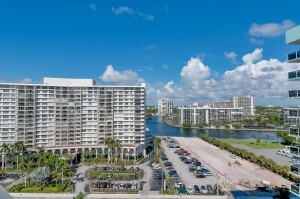 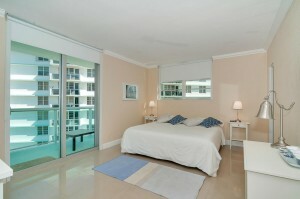 Ending at the balcony where you can enjoy a view of the sea and the city of Miami from the 14th floor. 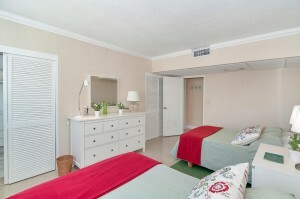 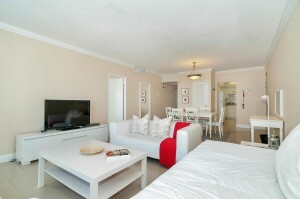 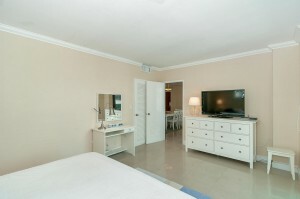 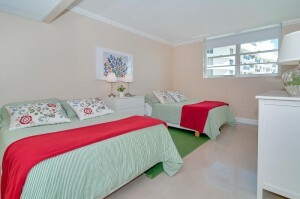 The main bedroom of the aparmetment provides a king size bed and tv, while the other bedroom suits two queen size beds. 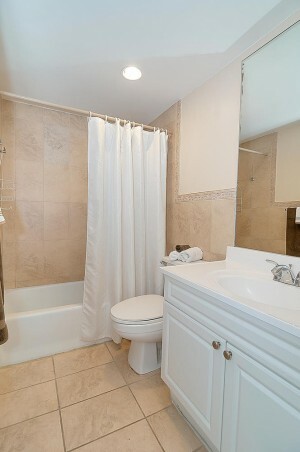 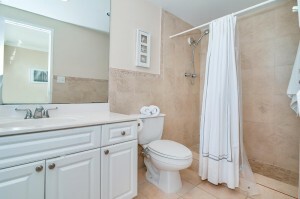 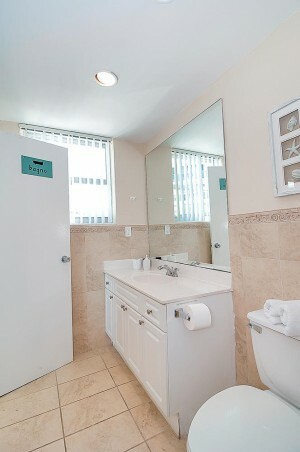 For the comfort of its guests the aparment provides two bathrooms, one with a shower and the other with a bathtub. 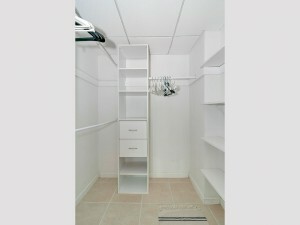 The bulding has a laundry on each floor of the building, where you can use a washer and dryer. 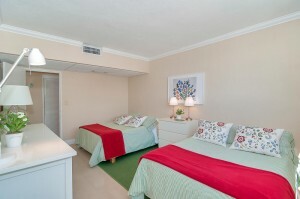 The machines work with cards giving with the apartment at the moment of check-in, they are charged by the guest with they own using needs. 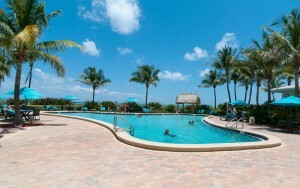 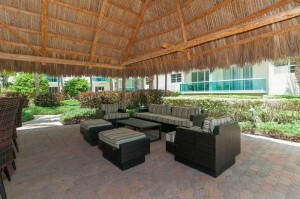 The building also has a gym, bbq area, swimming pool, and valet parking.